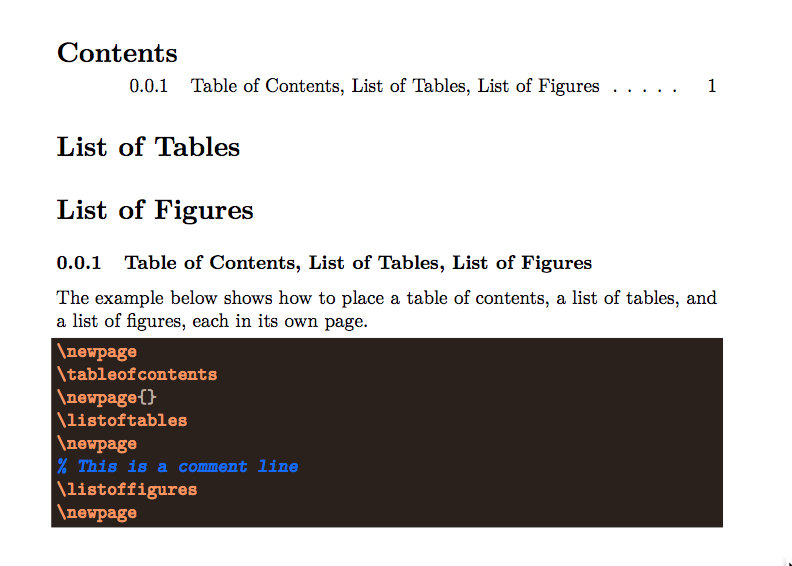 tables, and a list of figures, each in its own page. LaTeX Error: Command \VerbBar already defined. I need to be able to use code blocks with language specifiers that generate shaded blocks around the code when generating a PDF file. NOTE: I am not having an issue with generating an HTML file. You should add --highlight-style=<xxxx> to your Pandoc command. For possible values of <xxxx> make your pick from pandoc --list-highlight-styles. Not the answer you're looking for? Browse other questions tagged pdf texlive pandoc or ask your own question. (Possible?) How to embed a specific font (not from LaTeX package) to the output PDF?